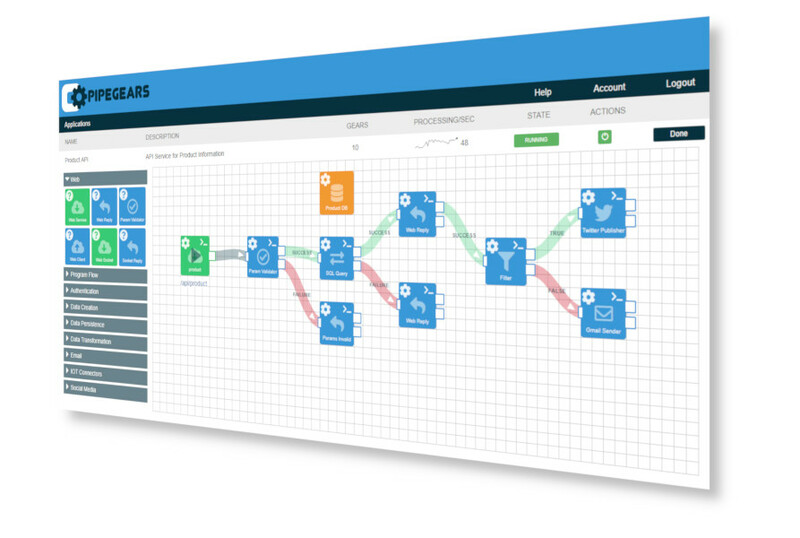 With PipeGears you can build serverless integration and automation flows for any cloud service, API or business system. It allows you to create webhooks that receive information from any service and trigger an automation flow. For example, to query a database, send an email, post to social media, or create a task in your project management software. You can create scheduled jobs that run exactly at the times you want, at up to one minute intervals. Or at business-centric times, like the first Monday of every month. It allows you to create complex integrations that branch into multiple conditional flows. And there are no limits on the number of triggers, steps, integration points or operations that you can perform. 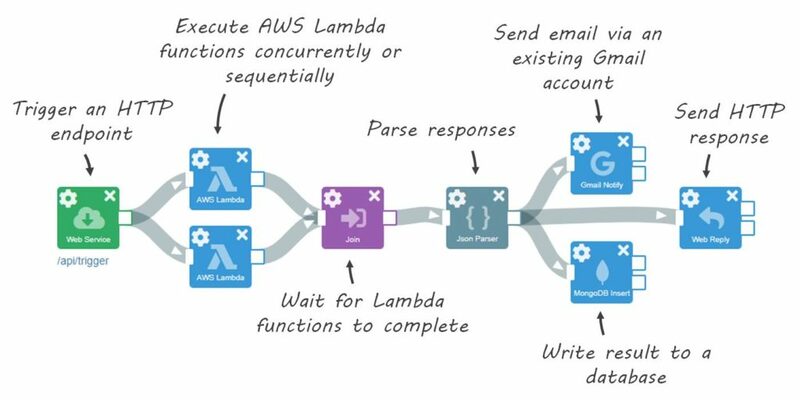 PipeGears lets you integrate your serverless code on AWS Lambda. It can trigger Lambda functions directly, without needing AWS API gateway. Execute Lambda functions sequentially or concurrently and integrate them into your automation flow. Or run your serverless code at scheduled intervals with a timer trigger or cron scheduler. Watch a high level overview of PipeGears to learn how it can help your business. PipeGears applications are composed of application flows. This brief technical overview explains the key concepts. 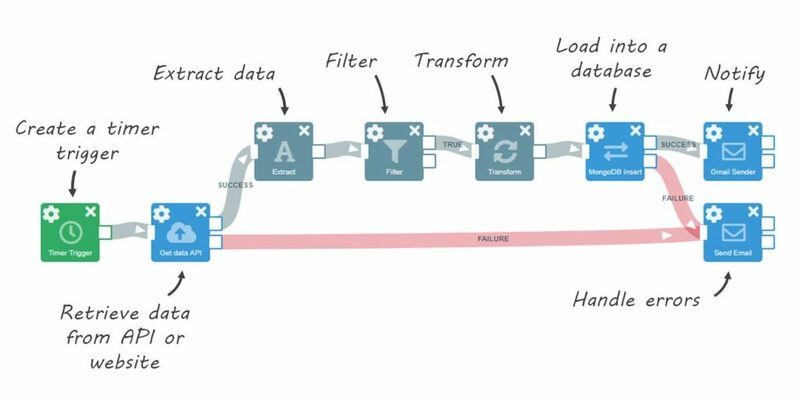 PipeGears provides a dataflow programming model that is intuitive and powerful. This short demo shows how to build your first PipeGears application. Creating a simple REST API that fetches data from an SQL database and provides it in JSON format, then demonstrating how a frontend client would access it. 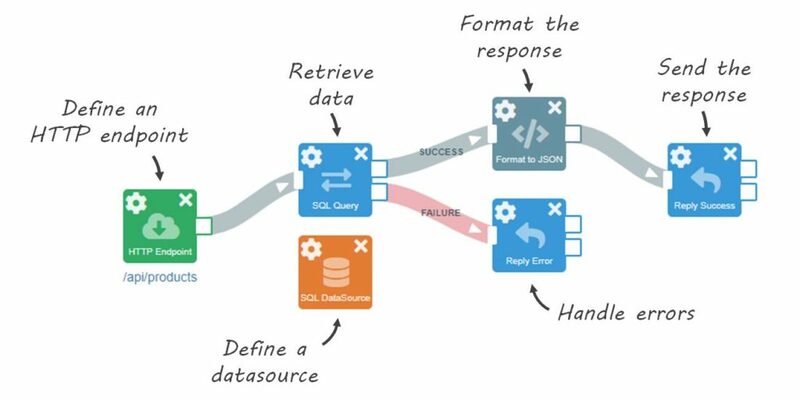 Build and deploy integration to eliminate manual and error prone processes.